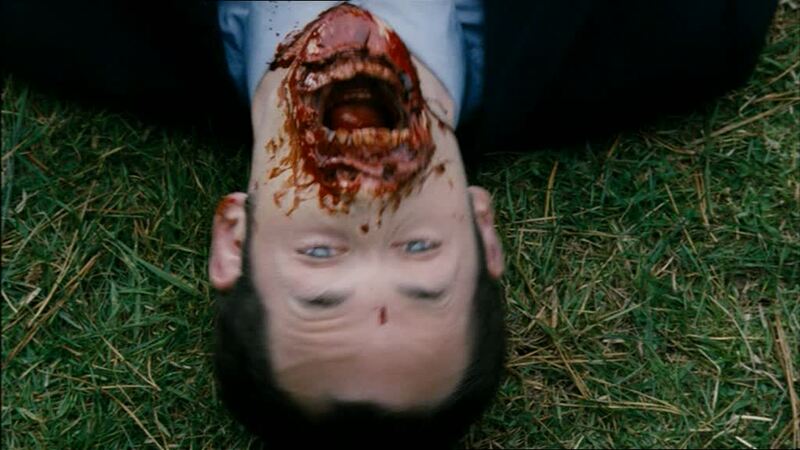 Black Sheep Review (2006)- Ewe Would be Maaaaddd to miss this… – Stigmatophilia's gore splattered corner of insanity. Next up in our horror/comedy theme, ‘Who’s Laughing now? !’ is Kiwi gem Black Sheep. You know that any film sporting terrible puns such as ‘the violence of the lambs’, and ‘Let’s get the flock out of here’, is going to be an obvious cheesefest delight. Directed and written by native New Zealander Jonathan King (who incidentally also wrote the interesting 2007 film The Tattooist) with a largely New Zealand born and bred cast and crew, Black Sheep takes an interesting angle on the nations biggest export. With a population ratio of 60 million sheep to only 3 million people if the sheep decided to turn nasty this would be a truly terrifying prospect. Funded by the New Zealand Film Commission this really is a forum for home-grown talent. The film gathered mainly positive reviews and also managed to pick up a few film festival awards around the time of its release. Black Sheep starts with the premise that young farmer’s son Henry Oldfield (Nick Fenton) suffers a trauma when his father dies which later develops into ovinaphobia, that is to say a fear of sheep. This is unfortunate as he and his brother Angus (Peter Feeney) inherit his father’s successful sheep farm. As the movie rolls on from flashback we meet Henry again now grown up as he travels to meet with Angus to sell off his share in the farm. Having extensive therapy for his fears Henry is strictly a city boy now and wants nothing to do with the countryside or his woolly backed friends who reside in it. All is not that simple however and on arrival Henry discovers there is something very wrong with the farm, Angus has employed a bunch of scientists to genetically modify sheep to which there are about to be dire consequences. Stuck in the hills that surround the farm, with his old friend Tucker (Tammy Davis) and a random eco-warrior they pick up on their travels named Experience (Danielle Mason) Henry sees his nightmare come to life. The sheep are out for blood, and woe betide anyone who gets in their way. Being a relatively unknown and inexperienced cast the actors in their respective roles do a pretty fine job, and are at times really put through their paces. 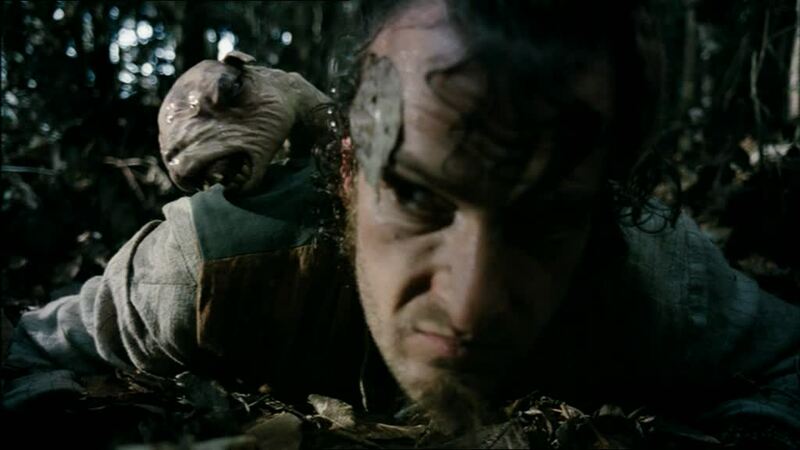 Not only is there a lot of running up and down hills to contend with, whilst fighting off a horde of bloodthirsty sheep, but for some of them the sheer blood, guts and gore, and prosthetic makeup effects thrown at them must have made the shooting pretty uncomfortable. That said however they do pull it off well, and you can tell there was a lot of enthusiasm for the movie from both cast and crew. While all the actors are convincing and likeable in their own ways I think Peter Feeney as Angus and Oliver Driver as eco-warrior turned weresheep were particularly stand out in their roles, but that may be that they were given the best parts. Nick Fenton is endearing as the sheep phobic wet behind the ears Henry. Feng Shui enthusiast and vegetarian Experience played by Danielle Mason manages to deliver her lines in complete dead pan style, while Tammy Davis playing family friend Tucker does a great job handling some of his transformation scenes. Even though the film is very fast paced and action orientated character development is still a key force in the film, and by mixing witty dialogue and bad puns in amongst all the commotion the makers actually manage to make us care about the characters involved. It is also worth noting over 800 sheep were used in the film, and they say you should never work with children or animals, that is a pretty brave venture on the makers part! Apparently the sheep were well-behaved though apart from the main role of ‘super sheep’ who became a bit of a diva for her trainers while shooting. As I have mentioned the film gets stuck into the action fairly quickly, and from that point on really does not let off steam even for a moment. The plot moves on from one wacky scene to another in manic style, and while the comedy is plentiful there are some moments of real tension too. By using a series of outhouses, scientific labs, fields, hills and even the farm house our heroes find themselves in plenty of situations from which you think there can be no escape. The sheep are everywhere and it is only a matter of time before they break out and infect the rest of the country. This sense of urgency is implied to great effect as the story moves on, with twists and turns the tempo feels like a rollercoaster on times, as things build to an obvious splatterific and glorious conclusion. One thing that is evident in this movie is the obvious similarity to Peter Jackson’s early work Bad Taste and Braindead. There is some pretty sick humour involved and plenty of blood and guts too. 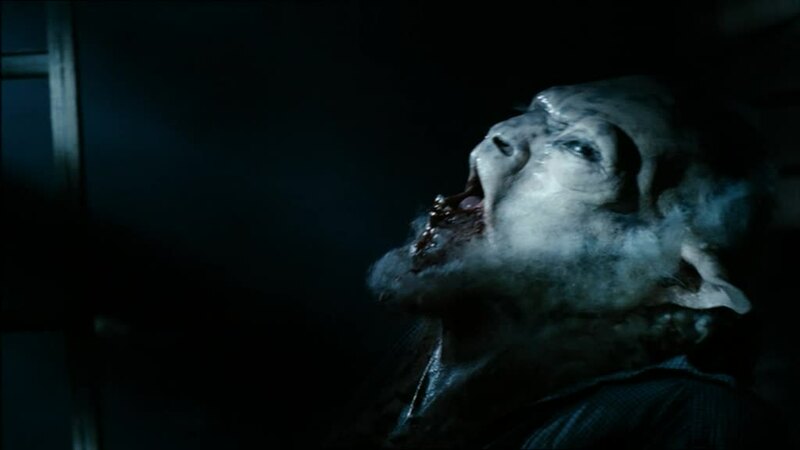 The effects were handled by Weta workshop, another New Zealand based company which was founded by Richard Taylor who is a close friend of Peter’s. Richard worked on Bad Taste, Braindead and Meet the Feebles, before going on with Weta to work on some of the bigger budget stuff such as Lord of The Rings and King Kong. They have also been associated with other blockbuster ventures like Avatar, I, Robot, and Hellboy. Relying on old school techniques, which prove both ingenious and effective, Weta put a lot of thought into making Jonathan King’s vision a reality. This included studying the anatomy of real life sheep from every conceivable angle possible, their behaviour, and movement, and this effort really does show. The gore scenes are very graphic as well, with Jonathan admitting that he was mainly responsible for ensuring there were always copious amounts of blood and guts (much to the annoyance of the actors who were doused in it). Just when the effects guys thought they had achieved the desired result Jonathan would often wade back in and throw a bit more around just for good measure. One of the things I particularly enjoyed were the transformation scenes and obvious care and thought put into them, being reminiscent of the stunning work on American Werewolf in London, they were a joy to watch. 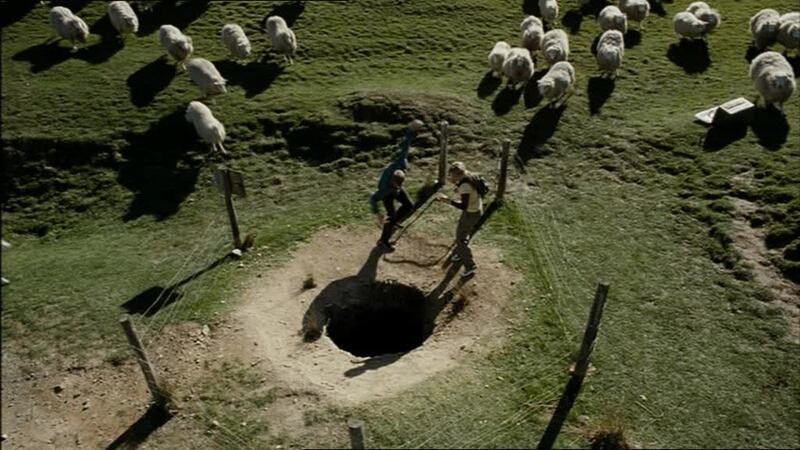 Black Sheep is one of those films which is a lot of fun to watch. Never holding back on the action, bad taste or gore, this is the sort of enthusiasm I love to see in horror comedy. It is great to see that the Kiwis are not afraid to really take the mick out of themselves either and this sense of humour really shines through the piece. Definitely pick it up if you haven’t had a chance to see it yet, guaranteed to give you more than a few laughs and hopefully some vomits too. Oh and if you ever do get trapped out in the middle of nowhere surrounded by rabid sheep don’t forget to bring some mint sauce it could just save your life.